Allergy season is in full swing in several parts of the country, which means many people are dousing their eyes in drops, using neti pots religiously, and trying desperately to get pollen out of their lives. 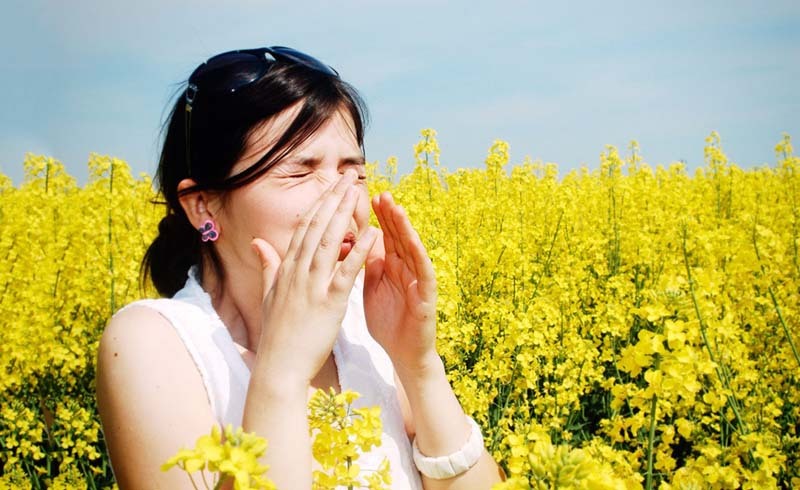 There are dozens of home remedies out there that allegedly help seasonal allergies, all with varying degrees of effectiveness. One counterintuitive option? Some allergy-sufferers claim that eating little pellets of bee pollen can reduce symptoms of seasonal allergies. For starters, we know that allergies occur when your immune system mistakes a normal substance for an "intruder," according to the American Academy of Allergy, Asthma, & Immunology (AAAAI). When an allergen comes into contact with your body, your immune system releases the chemical histamine to fight it, which typically causes all the allergy symptoms we're familiar with, like a runny nose and itchy eyes. Some allergy treatments simply block histamine, while others work by exposing your immune system to small doses of allergens until the body eventually becomes desensitized to them, according to the AAAAI. And that's kind of how bee pollen supposedly works, too: by consuming doses of bee pollen over time, you can stimulate your immune system and ultimately reduce allergies, Miguel Wolbert, MD, a board-certified allergist in Midland, TX told Refinery29. 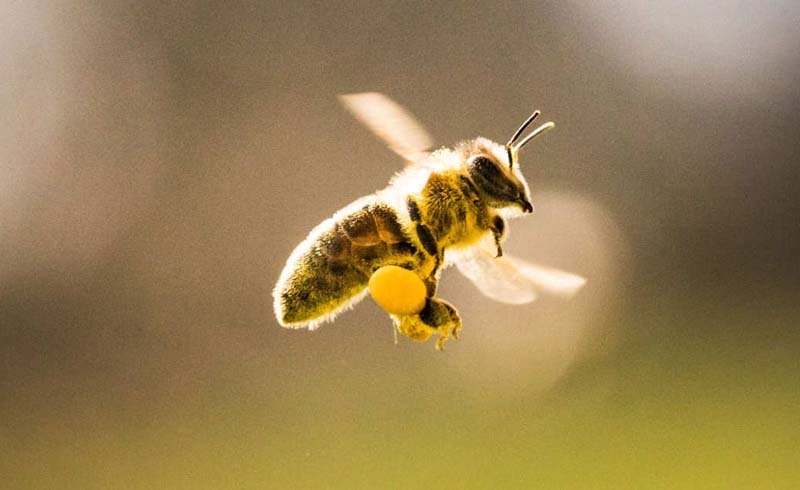 Although some anecdotally claim that bee pollen works wonders on allergies, there's no solid scientific proof that it does anything or impacts symptoms at all. In some cases, consuming bee pollen could be really dangerous. There have been instances where those with severe pollen or bee sting allergies have gone into anaphylaxis after consuming bee pollen or honey, so it's not for everyone, according to MedlinePlus. People who are pregnant or breastfeeding should also avoid consuming bee pollen, because it's not entirely clear how the pollen would affect the fetus or infant. Other side effects of taking bee pollen can include dizziness and rashes, although those are rare, per MedlinePlus. Regardless, it's always a good idea to check with your doctor before taking bee pollen — or any other homeopathic treatment, for that matter. If your doctor clears you for consuming bee pollen, make sure you can find bee pollen that's from local bees; this way, there's a better chance of it containing the specific allergens that you're allergic to. It's unclear exactly how much bee pollen you should eat to reap the benefits, although most people start with a couple teaspoons mixed into various foods, like smoothies or yogurt. Another thing to keep in mind: you must take bee pollen pretty consistently to see any effect, because it can take the body months to build up a tolerance. There's also a chance that bee pollen would have zero impact on your allergies, because some allergens won't make it into bee pollen at all, Dr. Wolbert told Refinery29. For example, common allergens like ragweed and oak tree pollen tend to be "wind-borne," meaning they travel through the wind. Technically, that pollen could end up in a flower and get picked up by bees, but "it’s likely to be a very, very small amount, and not enough to make a difference," he said. Basically, if you are desperately seeking home allergy remedies, bee pollen might be another tool to add to your arsenal — just don't expect it to cure your allergies for good.